We build custom outdoor living areas. See photos of work we have completed. Felice Decks creates beautiful custom decks that our clients enjoy for years - and we do it with unmatched attention to detail, quality, and professionalism. Many of our competitors operate smaller, rotating crews of workmen to complete projects. Their clients don't know who will be working a project day-to-day, and this lengthens the time that the family must cope with the disruptions that come with a construction project. At Felice Decks, we operate a single, larger crew on each project; with the owner directly involved all the way to completion. 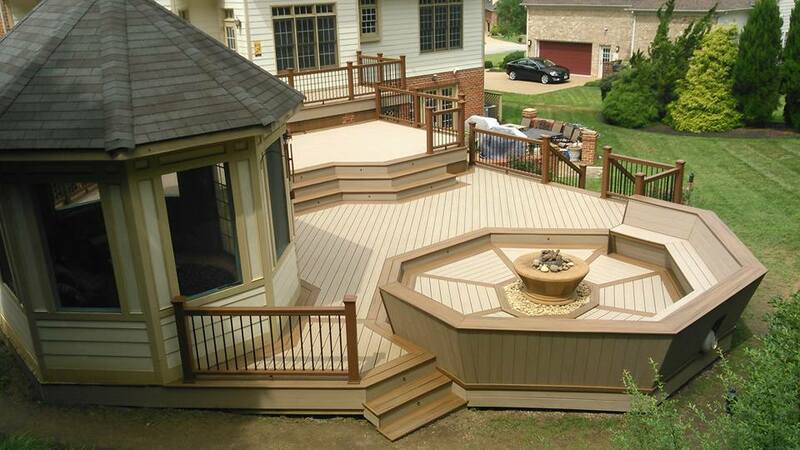 We can complete your new deck or outdoor living area in as little as 8 days once the permits are pulled. This allows you return to your normal life sooner and enjoy your beautiful new deck. With only a small upfront fee, you can begin your new deck, fence, porch, or gazebo. Give us a call today and let us help you get started designing the outdoor living area of your dreams. We take the time to truly understand what you want and help you create the perfect outdoor living space - one that will be easy to maintain and beautiful for years to come. 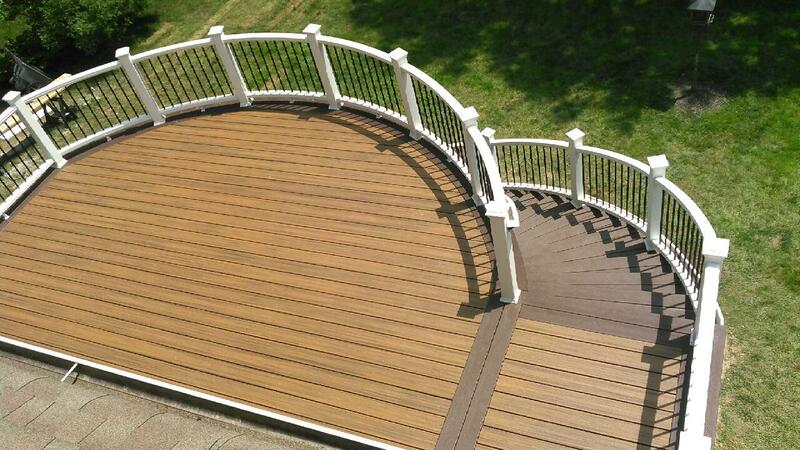 Round decks are just one of our specialties. 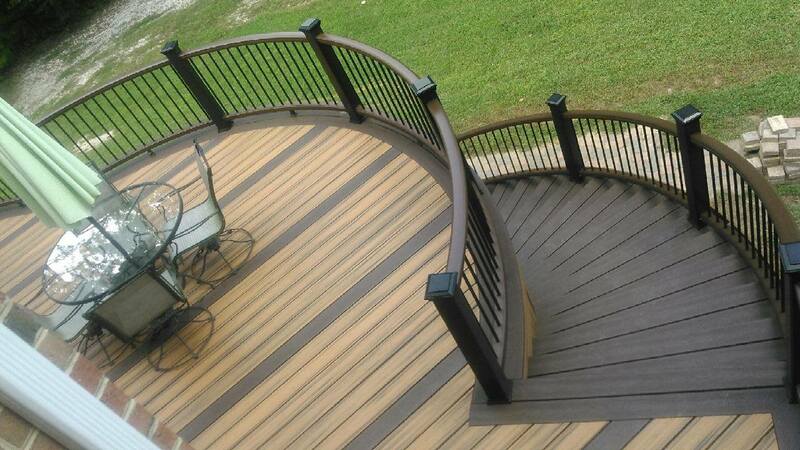 You may find that we're not the cheapest decking contractor in Richmond. Our goal is to provide the best value by giving our clients the highest quality and exactly what they want - a beautiful, custom deck that will last for many years. We provide this value with unmatched speed and professionalism. Jason Felice and his crew were of the highest quality, from design to the day they finished. We love our new deck and couldn't say enough good about Felice Decks. Jason Felice's eye for perfection made our installation process & result fantastic. Our new deck is beautiful.